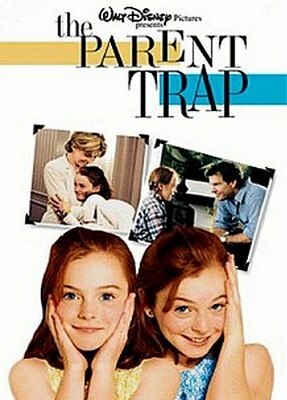 At a summer camp, Annie and Hallie meet and discover that they are identical twins. They find out that their parents separated soon after they were born, and that they have both been living the kind of life that the other wishes to have. They then decide to switch places and Annie heads to California and Hallie heads to London, both pretending to be the other. Although they do not act very good at the start, their parents just think that they are a bit changed after the summer camp, and do not think much about it. In order to keep the act going on, they call each other regularly and they come up with a plan to bring their parents back together.